I spent the day working with my district’s science curriculum team. We are working on deepening our understanding of the Next Generation Science Standards and how they will influence the design of our K-12 curriculum. 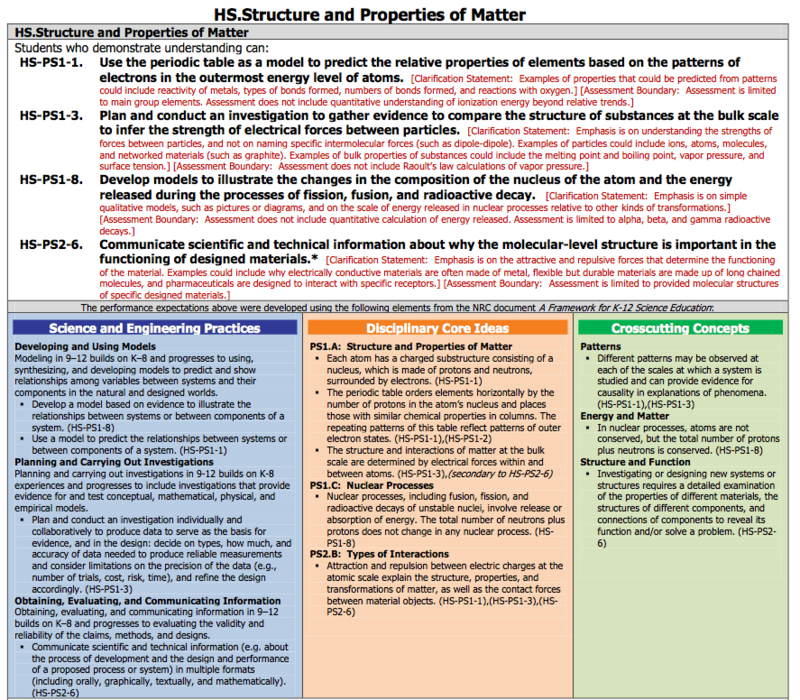 I spent most of the day analyzing the performance standard: “Use the periodic table as a model to predict the relative properties of elements based on the patterns of electrons in the outermost energy level of atoms.” and connecting it to the Science and Engineering Practices, Disciplinary Core Ideas, and Crosscutting Concepts. Personally, I can only understand something at so deep a level based just on reading about it. Today, we had the opportunity to analyze, discuss, and apply these concepts. I’m beginning to gain a deeper understanding of the design of the NGSS.